Steps in the Museum are exhibited only the litter. 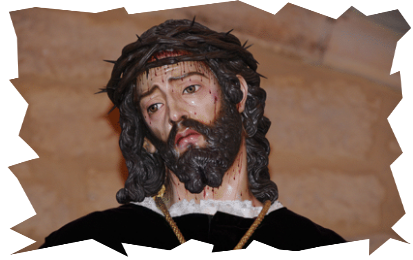 The image is in the parish of San Vicente Martir de Bilbao (Calle San Vicente 3, Abando), where he worships. Jesus is a crown, which highlights the expressiveness of the face. In addition, the step is carried on the shoulders and is carried by 20 porters.